Jack jogged gently along the shoreline, relishing the feel of the sea breeze across his face and through his hair. He hadn’t quite got to the stage where he took fresh air for granted but he assumed he would reach it again eventually. He came to a gentle stop and walked up the beach to where the sea hadn’t yet reached and sank down into the dry sand. He brought his knees up, rested his forearms on them and looked out across the Pacific. It had been just over six months since he’d been airlifted out of Russia and it had flown by. His recovery in Greenland had been frustratingly slow. Chloe and Kate had been there with him throughout and Jack had soon realized that they had obviously orchestrated between them that for the first ten days or so, he was never alone. Day or night. It would stay with Jack for a long time that they had both dedicated so much and put their lives on hold to try to find him and then patiently aided him through his recovery. They had read to him, played cards or when Jack’s lungs had started to heal, just talked and it had been an opportunity for Jack to properly get to know his work colleagues, something that he had never really had before. Initially he’d had nightmares that he was back in Russia, the cell walls steadily closing in on him and he’d wake up in a cold sweat but they had eventually lessened and he hadn’t had one for weeks now. He still struggled with long periods of silent solitude but he had combatted that with the combination of the purchase of a CD player and renting a beach house that was close enough to the shore, so that the sound of the waves on the beach meant it was never completely quiet. Jack had been itching to get started on carving out the new unit. Between them, Jack and Erik had created an advisory board to preserve a form of checks and balances. Erik had kept his word, Jack still had autonomy to make decisions and run the unit as he saw fit, but he was still accountable to the board. Jack hadn’t had to justify any operational decisions so far, but he had banged heads with them twice already. On the board’s insistence he had undergone several surgical procedures to remove various pieces of shrapnel he had collected over time, and the dull ache in his abdomen from a stray bullet he’d acquired in Somalia a couple of years back, was nothing but a distant memory, but Jack didn’t miss it one bit. He flexed his right hand and then his shoulder, they felt good. The surgeons had done a fine job fixing up his axillary artery and the sporadic numbness in his hand from another previous injury was also a thing of the past and although Jack had initially dismissed the board’s request, he was glad that he had complied. He leaned back on his elbows and let the morning sun shine onto his face and he thought of his family. It felt good to say that. His family. Jack had initially refused to contact Kim, insisting that he needed to be fully recovered before Kim was told anything to prevent her worrying, although Chloe took matters into her own hands when she saw how tough it was for Jack when his recuperation took such a long time and he wasn’t given clearance to fly. Without telling anybody, she’d somehow organized for Kim to be flown out to Greenland when Jack had been there just under a month. Chloe had purposely not told Jack her plan, she knew he would have ordered her not to, although she had been forced to tell Erik once Kim had boarded the flight in Los Angeles, just so Kim could be cleared to enter the compound. At the time, Kim had no idea why she had been flown out either, she had subsequently told Jack that she had received a request to arrive at LAX from some anonymous Government department. When Kim had arrived at the base in Greenland, Chloe had gone to meet her and then told her the real reason why she was there. Five minutes later, she was explaining to Jack and three minutes after that, Jack had walked into the room where Kim had been waiting. It had been an emotional reunion, as both of them had long ago resigned themselves to the fact that they would never see each other again. When he was finally declared well enough to travel, he had flown back to the U.S and the sense of liberation of being back on home soil, no longer a fugitive had been immense. He had refused Kim’s offer to stay at her house. He wasn’t sufficiently sure that the Russians or the Chinese considered that they were quits with Jack and he didn’t want her exposed to any unnecessary risk. Instead, he’d rented the beach house, which was a couple of miles down the coast from Kim. The idea of having vast openness at his back door had appealed to him. He quite often slept with the French doors of his bedroom wide open, his gun under his pillow, Jack, knowing he was a light sleeper was confident that he would know if he had any unwelcome visitors but he’d had no issues yet. His thoughts switched to his grandchildren. Teri had grown so much and had become a headstrong, but delightful seven year old and reminded Jack of Kim at the same age. Her younger brother was also a great kid and loved playing rough and tumble with Jack on the beach. They had both recognized him immediately which was testament to how often Stephen and Kim had obviously shown them pictures and talked about him. Teri still insisted on calling him Jack but he didn’t mind, in fact he preferred it, Grandpa made him feel old and he had been made acutely aware of his age when his body had taken longer to heal after his surgery than it ever had when he was younger. The ultimate joy had been seeing Elizabeth again. He had been in Greenland for just under three weeks when Kate had come into his room and Jack could immediately see in her face that she had bad news. She had sat down and told him that Anton and Katya were flying back to the States as they had exhausted all possible leads in Russia and that they had been told by Seminov that they needed to leave. They had reported that Seminov had even driven them to the airport and watched as they boarded a flight to make sure they followed the order. Erik had then refused permission for them to come and meet up with Jack in Greenland despite Jack’s protestations. In hindsight, Jack realized it was understandable considering Katya’s history but at the time, Jack had been angry. He still hadn’t been given permission to fly and despite trying, he couldn’t contact Anton or Katya to find out what had happened over the previous three weeks either. For the next week he was monitored closely by Kate and Chloe and on top of that, from his bed, Jack had seen regular glimpses through the door when it was open, of a man dressed in combats standing in the corridor; Erik had seemingly placed a sentry outside his room, just in case he decided to go and find Elizabeth himself. Jack had tried to contact Seminov but Seminov had resolutely avoided all of Jack’s calls and Belchek had also disappeared. Jack had felt imprisoned and completely helpless. Over the next few days, Jack had finally resigned himself to the fact that he would never see his mother again and had spent many hours staring at the stain in the ceiling, remembering back all the precious moments that he had at least managed to spend with her. He had been distracted out of that routine by Kim’s arrival but it had remained with him, as a dull, painful ache, that he had lost Elizabeth. When he’d been back in the States for only a few days, Erik had, out of the blue, summoned him to Langley. It had been a surreal experience for Jack, arriving there, knowing that he had been on the CIA’s wanted list for so long. Jack had been shown into a room and told to wait and Erik had turned up a few minutes later. He had made Jack sit down and then he announced that Elizabeth was back in the States. Jack had immediately demanded to see her but Erik had said it wasn’t possible as she was still being debriefed, but that he should be able to see her later that day. Jack had paced up and down the room for the next six hours, until finally, somebody had come to get him and taken him to her. When he saw her, he knew something had happened. Physically she looked fine, a little tired perhaps, but there was something in her eyes that told Jack what had happened to her in Russia was bad. When he asked her to tell him about it, she’d shaken her head and Jack had immediately changed the subject. He knew from personal experience that there were some things that were just too harrowing to recall or talk about and he hadn’t broached the subject of her incarceration since. Jack and Elizabeth were immediately both given approval for leave of absence and had spent the next few days talking and getting to know each other better. On the fifth day, Elizabeth told Jack a little of how she’d got back to the States. She’d been cuffed and taken from where she’d been held and a hood had been placed over her head. She’d then been put into the back of a car. Nobody had spoken to her and they had driven for a significant distance. Eventually, the car had stopped and she heard the driver get out. When his door opened, she’d smelt the unmistakable fumes of aviation fuel so she knew she was at an airport. The driver had pulled her out of the car, although somewhat more gently than she’d been expecting and she was led towards what she thought sounded like the loud drone of a plane waiting to take off. She was left standing there, still unable to see and her hands still shackled behind her back. She thought she could make out the murmur of voices over the noise of the plane’s idling engines but she wasn’t sure. Elizabeth was starting to wonder how long she was going to have to stand there when she felt somebody behind her undoing her cuffs and a voice in her ear urgently whispered, ‘Give my regards to Jack when you see him.” With her hands now free, she stood there for a while unsure what to do, the hood still on her head. She heard a car pull away and Elizabeth said she remained standing there for some time after, as she thought it was some sort of trap. She’d looked across at Jack at that point and put her hand on his and said “I thought you were dead.” She then admitted to Jack that she had expected to hear and feel the staccato of rapid gunfire as soon as she moved. When she finally removed the hood, she saw she was standing on the runway of what appeared to be an abandoned, remote airfield. The buildings were in a terrible state of disrepair and all over, grass was growing through cracks in the runway. The only thing that appeared operational was the plane right in front of her. As she looked around, the only person she could see was standing at the top of the steps. There was a woman who stood there watching her and as soon as they made eye contact, the woman beckoned to Elizabeth. Elizabeth had told Jack that she still thought that this was some psychological game by the Russians but had walked up to the steps and climbed them anyway, there was nothing else she could do except stand there for eternity. When she reached the top of the steps, the woman had spoken to her in an American accent and had explained that she had been given strict instructions not to leave the plane. Elizabeth was still suspicious but went further into the plane and sat down anyway. Only when she landed back in the States and was able to hand herself over to the authorities, did she finally believe that she was free. The airport security personnel had not initially believed her story and were understandably skeptical of anybody landing in the States with no paperwork and claiming that they needed to contact Langley, but eventually she had got somebody to listen. The look in her eyes that Jack had first seen had slowly shrunk away and looking at her now, there was no evidence it had ever been there. Jack was well aware that it would always be there like a malignancy, hidden from view but very much embedded in Elizabeth’s psyche. Jack knew he had Seminov to thank for her safe return to home soil and he would forever be grateful. Jack hadn’t tried to contact him. The fact that Seminov had purposely cut all communication channels made it very clear to Jack that he had risked a lot to get Elizabeth back home and safe. He had no idea how the Russian Captain had managed it and thought it incredible that the man had obviously taken such a risk on Elizabeth and Jack’s behalf. It had been an amazing moment when he had seen her again and was then able to introduce Kim and Kim’s family to her. Elizabeth had become a firm favorite with the children and relished being a Great Grandmother. Jack and Elizabeth had also continued to spend many hours together and Jack liked her immensely. She had subsequently been invited to join the board for the new agency and after asking Jack whether he minded, had accepted the offer. Jack considered that although she had a wealth of experience and could add value, it may have primarily been a strategic move by the board, as he was sure it hadn’t gone unnoticed that he listened to Elizabeth and valued her advice, but Jack was more than okay with the arrangement. The most formidable thing he’d had to deal with over the last few months, was the psychological evaluation that the board had insisted upon before giving him permission to work in the field. Initially, he had flatly refused and the board had made it very plain that things would not progress any further unless he complied. Elizabeth had bluntly pointed out that he had been off the books for a number of years and so much had happened in that time, some of which was completely unknown to anybody other than Jack, they would be stupid to take him on without some form of assessment. Jack wasn’t prepared to risk having to bare his soul and he had defiantly refused to participate. In the end, when he had realized that the board was not going to back down and he had missed out on a field operation, he had resentfully complied and discovered to his surprise that the evaluation process hadn’t been intrusive, the process was about assessing responses to potential future situations; and that was what they were interested in, not what had gone before. When Jack realized the purpose of the sessions, he anticipated that things would grind to a halt anyway. Jack had never believed in convention; he had in the past, disobeyed orders if he didn’t believe in them and with the years of experience and knowledge he had accumulated over his lifetime, he would often work on gut instinct alone. When he’d worked at CTU before, in situations where the stakes had been high, the desk jockeys back at Division had tried to curtail him, considering him a liability until he’d been able to prove them wrong and he’d also acquired a reputation for being ruthless because he was willing to get his hands dirty, often bypassing due process. Jack hadn’t tried to manipulate the outcome, he saw little point in delaying the inevitable and had been somewhat stunned when Erik had told him he was passed for field work. Chloe and Aaron Pierce had done a fantastic job setting up the new servers and technical infrastructure. They had consolidated all of the old CTU data with all new data sources and had gone on to develop new search and analysis algorithms. Chloe’s team and the new algorithms had already identified and thwarted a hacking attack from China which had threatened to bring down the Federal Reserve’s computer systems and Erik had nothing but praise for Chloe, although he’d quickly learnt about her discomfort when being praised and had limited his appreciation to a brief ‘thank you’ whenever she was in earshot..
Kate was also working incredibly hard and doing a great job too. Jack had helped her identify a potential list of candidates for the field agents and all but one had come on board. The newly assembled crew were already working as a team and she and Chloe were also working together on a side project, creating an identity for Belchek so he could take the last open place. Belchek had gone to ground and nobody had heard from him since they had been trying to find Elizabeth but Jack was pretty sure he knew where to find him when Kate and Chloe were ready. Jack rubbed his temple, he had budget constraints to deal with this week. Setting up a new covert agency had challenges that Jack hadn’t even considered. He’d already had to resort to sourcing a salvaged MH-6 Little Bird helicopter that had been damaged during a SEAL training exercise and had been considered uneconomical to repair by the Navy. There had been a handpicked team of engineers working on it for several weeks and it was scheduled to be completed by the end of the month. His other headaches had included setting up the business-front for the unit. Rick Rosen had come up trumps with the real estate. They had secured an old depot that had been empty for a few years. It was set back from the other buildings that were accessed through a small quiet industrial estate. Nobody overlooked them but Jack had made sure that the building’s activities would look convincing to the public and had, with Aaron’s help, recruited a small team of seven from various law enforcement agencies, who would split their time between the office and the warehouse to add an air of authenticity and help conceal the unit’s true work. They had also been able to purchase a half acre plot of woodland out the back which would provide a discreet space for the helipad. Several trees had already been cleared and construction work on the pad had started last week and would be finished in time to take delivery of the Little Bird. He had been to see Heller a few times and Heller was definitely getting worse although he had good days and bad days. The first time Jack had visited, he saw barely any symptoms at all but a second visit a week later had been very different and it had been heart breaking for Jack as Heller kept asking him where Audrey was. The last visit had been difficult, Heller hadn’t recognized Jack at all which had been upsetting for both of them and although Jack would never walk away, he didn’t think he could face another visit quite yet. He stood up and brushed the sand from his jog pants and strolled back up the beach towards home. He still had plenty to do, they were still without a medical team and he had contemplated asking Stephen but he had reservations. Stephen was a fine doctor, Jack had no concerns on that score, but he didn’t want Kim and her family to be sucked into the darkness that pervaded the work that the unit would do. He reflected back over some of the events that had taken place in the medical unit at CTU. Once, he’d had to hold a gun to the doctor’s head when Paul Raines was being operated on and then a couple of years later the CTU doctor had been killed when an assassin had been sent to CTU by Walt Cummings. Jack sighed and then smiled to himself, it was all a matter of perspective after all. Tomorrow, his biggest headache would be whether to ask Stephen to join his team, later today it would be what time to leave home to get round to Stephen and Kim’s for a family dinner; and six months ago it had been that he was going to die. Jack broke into a run and headed up the beach, back to his house, resisting the urge to spread his arms and yell with joy. He had been given a lifeline by his friends and he was going to embrace life and enjoy every minute of it. 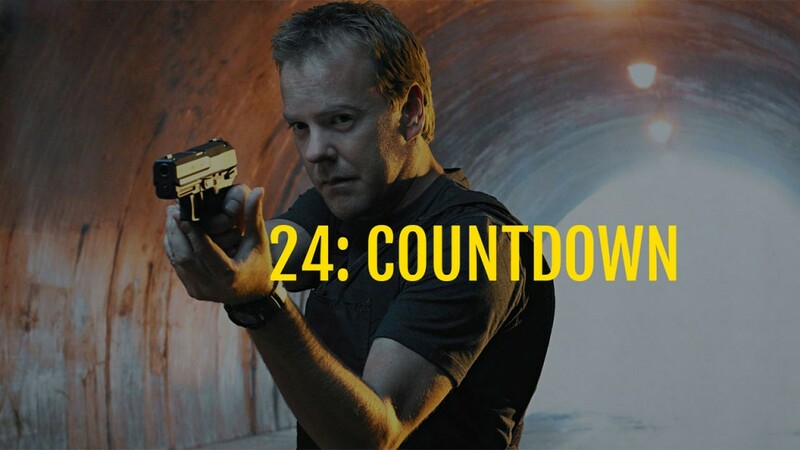 We have been excited about bringing these stories based on 24. We have a small team that is working on developing future stories, but remember that this is a fan fiction site. It is created by fans. It is created for fans. We want your ideas! Leave your feedback below in the comments or send us an e-mail by clicking the contact button. I’d like to thank you and your team Joshua. I am really happy to see Aaron Pierce brought into the story line. He was one of my favorite characters on the show. I wish it could be written that he and Martha are now happily married. Another one of my favorite characters was the first President Palmer. I wish that he could be brought back in some way. Maybe his death was just a sham to provide a distraction of some sort. A false flag assassination…lol? I don’t know. But anything is possible. Hey, they brought Jack back!